Waving to shore as your majestic ship sails off into the water is a ritual people have been enjoying for centuries. Slipping off into the rhythms of life at sea is as alluring as ever, especially with all the options and choices modern cruising offers. Cruises can be a wonderful way to explore many parts of the world and get a taste of new places. Although you can explore 5, 10, or more destinations on a single cruise, you have the advantage of unpacking only once. You’ll have everything at your fingertips, and more time to you tour new sights each day. Cruising is perfect for all ages and combinations of travelers. It’s especially popular for multigenerational trips. Cruise ships accommodate large groups with ease. Imagine trying to secure a restaurant reservation for 11 people each night while staying at a hotel on land. On a cruise, this is no problem to arrange, AND you 11-person meal is included in the cost of your trip! When most people think of cruises, they imagine a gigantic ship alive with thousands of people, fun activities. Lively shows and endless buffets entertain while cruising through warm ocean waters to sandy beaches. Lines like Princess, Holland America, Royal Caribbean, Norwegian Disney, and Celebrity all offer itineraries throughout the world. Big ships can be a great choice for honeymooners and families alike. Big ocean line cruising is indeed a thriving part of the cruise industry, but it’s not the whole picture. You will have a completely different experience on a small ship. Small ships can travel to places where large ships can’t go, so you’ll have experiences only available to smaller groups of travelers. 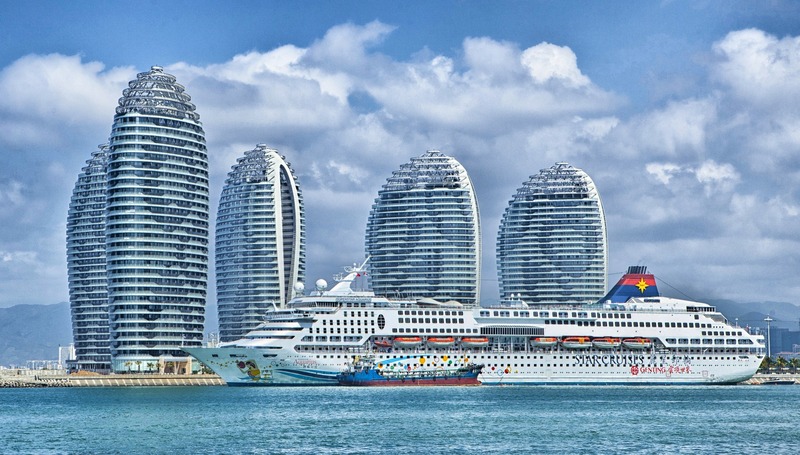 You can find mid-size ships on lines like Crystal or Silversea that still have 500-1000 passengers, but they can reach more intimate places than their larger, ocean liner counterparts. You can find smaller ships easily, and which line you might want depends on your interests and budget. For instance, Windstar recently offered an unusual cruise around the entire island of Iceland, stopping at remote spots for bird-watching and other treats. Smaller ships also offer expedition cruises to places like Antarctica or the Galapago Islands. Unforgettable Trips has a breadth of knowledge about the variety of cruises available, and can help you find exactly the experience you want. Sailing on a river cruise can be an intimate way to see a country. For instance, Uniworld offers European cruises along rivers like the Rhine or the Danube. These rivers have shaped countries’ economies and cultures for centuries. You’ll see the interiors of countries, and enjoy the flexibility of fewer lines and crowds. You can take time to explore on your own or join in group tours led by highly skilled and certified guides. For luxurious accommodations, fine dining and impeccable service, luxury cruise lines offer the top of the line. Crystal is known for it’s high quality, and for having the wonderful amenities of a big ship, but with fewer crowds. On Silversea, you might find a butler in tails and gloves pouring your coffee in your room each morning. Paul Gauguin cruises are known for their laid-back luxury with great dining and an amazing staff. Tell us what you want to see and do, and we can recommend an unforgettable trip of your own. The romantic notion of cruising all the way around the world still holds sway in imaginations today. Fortunately, there are several cruise lines offering complete or partial itineraries for those interested in an extended cruise experience. Let us help you make the trip of your dreams into a reality!